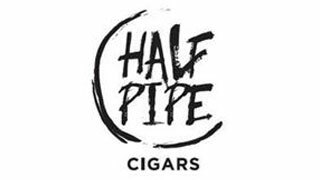 Half Pipe cigars are one of a kind, hand-made premium cigars that use a unique blend of the finest Dominican tobacco long fillers combined with remarkably sweet, fire cured Black Cavendish pipe tobacco, hence the name. Wrapped in a natural golden brown Habano leaf, these cigars are deliciously smooth and mellow. Each cigar is individually wrapped for maximum freshness and portability which locks in the delicious aromas and complex flavors. Each Half Pipe blend has a unique flavor profile and can be enjoyed anywhere you go. Enjoy these mild bodied, Corona sized cigars first thing in the morning or any time of day. Half Pipe Epic Red cigars feature a premium selection of light, air cured Burley tobacco and Bright Virginia blended with Black Cavendish pipe tobacco for a smooth and sweet smoke. Delicious notes of sweet cherries are present in the flavor and aroma. Half Pipe Gold Rush features a blend of mostly Burley tobacco with a bit of Virginia and Black Cavendish. The cigars are sweetened with the irresistible flavor of rum and a sweet caramel zest. They are both delicious and aromatic. Half Pipe Sweet Ride cigars are a very mellow smoke combing premium Dominican tobaccos and sweet Black Cavendish pipe tobacco with natural binders and an all-natural Habano leaf wrapper tinged with notes of caramel, vanilla and toasted almonds. Enjoy these mild bodied smokes any time of day.